With Stutterheim Raincoats, Every Cloud Has a Silver Lining! Stutterheim Raincoats are the brilliant creation of Swedish designer Alexander Stutterheim, who got inspired by the discovery of an old raincoat that belonged to his grandfather, an avid fisherman. As the coat was too big for him, he decided to create his own version in the style of the 60’s. The revamped design is perfect for the style-conscious modern man who wants to look his best even when it rains. Attention to detail is a priority for the company, whose raincoats are all handmade, numbered and perfectly waterproof thanks to their taped and sealed seams. 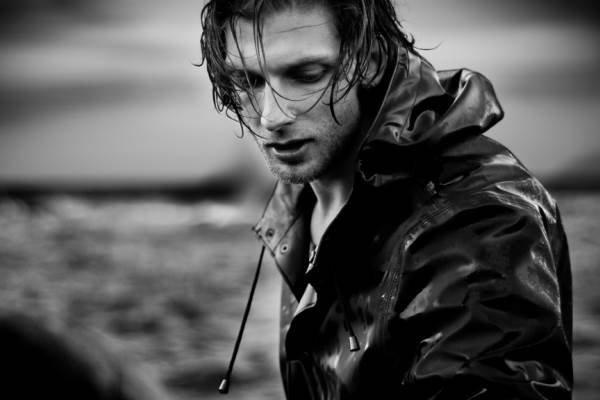 To make sure the products can weather the most extreme conditions, the coats are tested at sea. With their classic look, simplicity and meticulous tailoring, these raincoats are unlikely to go out of style! Stutterheim’s more urban version—the Arvid—is simply stunning and can be worn three seasons a year. Its three-quarter length gives it a distinct British look, and with the collar up, we can catch a glimpse of the tartan pattern. Considering the high quality of their materials, the items in the collection are adequately priced from $385 to $1,125.